The mystery character known as Requiem is nowhere to be seen on the latest piece of art from Marvel’s Infinity Wars Prime, but Thanos is present. 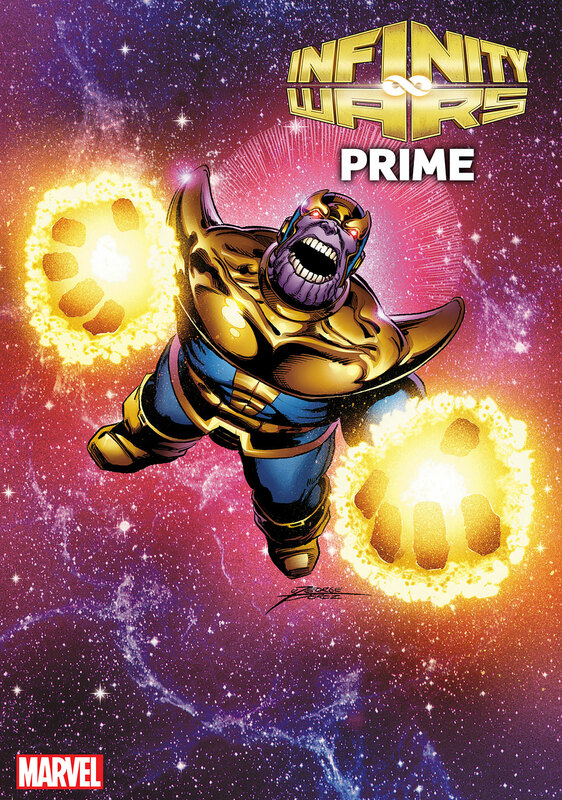 The Mad Titan is as imposing as ever on the issue’s new variant cover illustrated by comic book legend George Perez and colored by Richard Isanove. Of course, Perez is no stranger to the cosmic villain, having collaborated with creator Jim Starlin and artist Ron Lim on the mid-80s Infinity Gauntlet series that inspired much of Marvel Studios’ Avengers: Infinity War feature. Below is the official synopsis for Infinity Wars Prime #1, which arrives in July 2018. The post George Perez Re-Teams with Thanos for Infinity Wars Prime Variant appeared first on CBR.